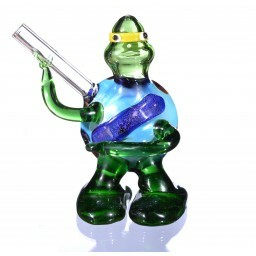 4"-5" Glass Bubbler - Assorted Design And Assorted Color -The Greatest Online Smoke Shop! 4-5" inches Tall. 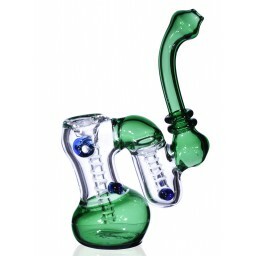 Sherlock style Bubbler. Colors and design may vary. Clearance Price, No complaint item. 4-5" inches tall, this hand made American pipe is beauty. Tilted Neck at around 45-90 degrees really makes this pipe distinct. Each piece is hand made and colors and design may vary. 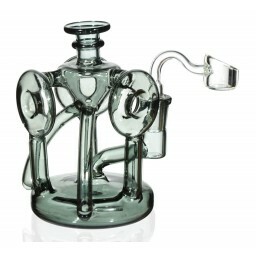 This bubbler is a cute little piece. It’s pretty heavy and is good quality for $10. I received my order in just a couple of days. The piece was very well wrapped. I would definitely buy from Smokeday again. Can’t really complain for the price of this little guy. It’s fairly smooth and hits well. The only thing that’s wrong with it is that the hole at the bottom of the bowl is too big. So, you’ll need to get some screens. Great size for easy transport and concealment. Shipping was super fast and well packaged. I’ll order agin from Smokeday for sure. Not bad overall and can’t really complain for only $10. 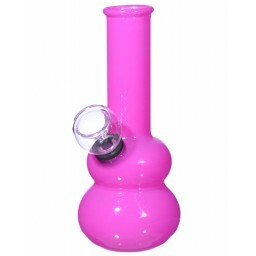 A++++ and vary fast shipping .